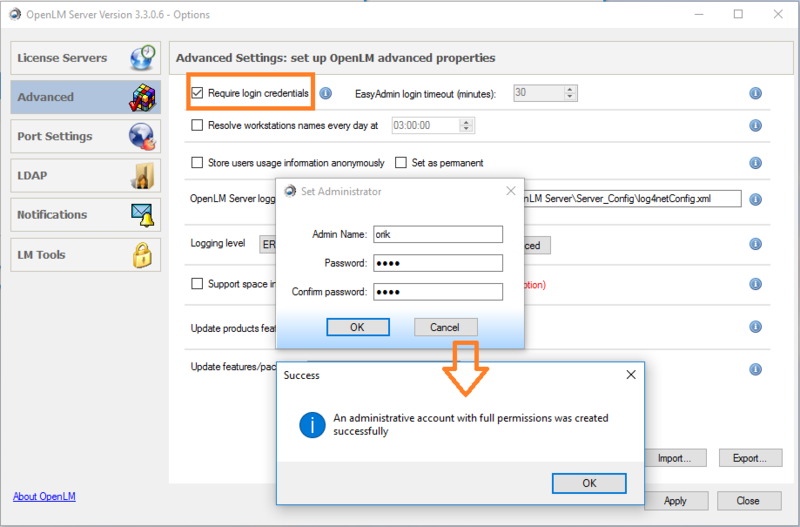 The OpenLM EasyAdmin administrative web interface incorporates a role-based security access scheme, facilitating different levels of access to different role players in the organization. OpenLM also incorporates Directory service synchronization, to combine license management with Directory service (e.g. Active Directory) information, and automatically maintain Users’ and Groups’ data. 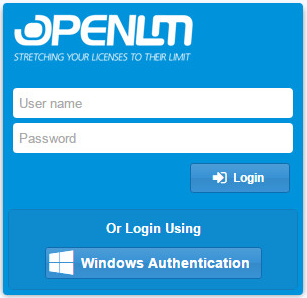 In version 3.3, OpenLM has combined these capabilities to offer a Windows Authentication scheme. This feature enables direct access to the EasyAdmin web application following a usual Windows’ login process, employing the username and password registered on the organizational Directory Service. 1c. An Active Directory domain, authenticating and authorizing users within your Windows network domain. 1d. 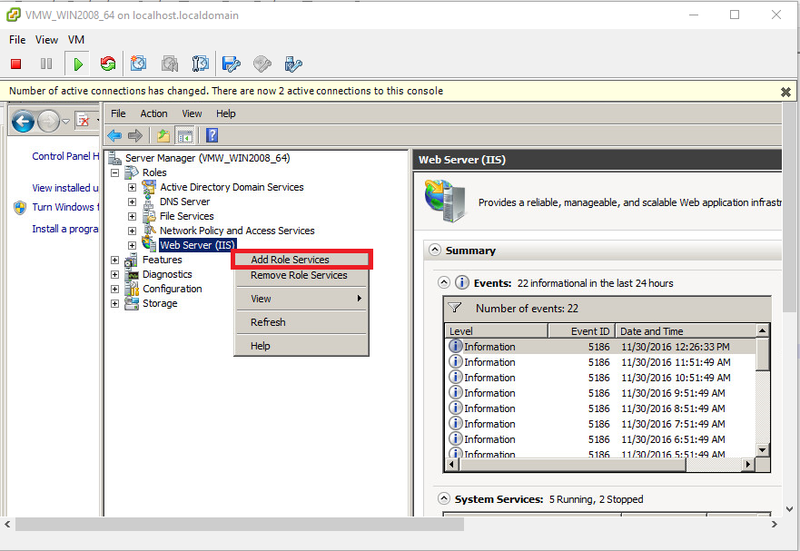 Administrative access to the Active Directory Domain Controller. 1e. Microsoft IIS web server: OpenLM Software is delivered with LightTPD, a built-in web server. In order to employ Windows authentication, the EasyAdmin user needs to switch to Microsoft IIS 7 instead. Please follow the explanation in this document. This procedure will, of course, require editing privileges on the IIS web server. 4b. Make sure “Windows Authentication” is marked as ‘Installed’. 4c. 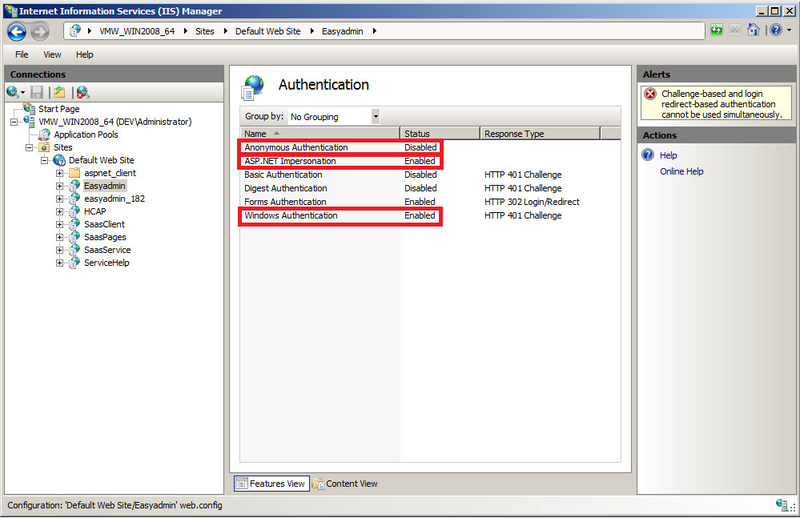 On the IIS Manager, select the EasyAdmin web application, and click on the ‘Authentication’ icon. 4e. 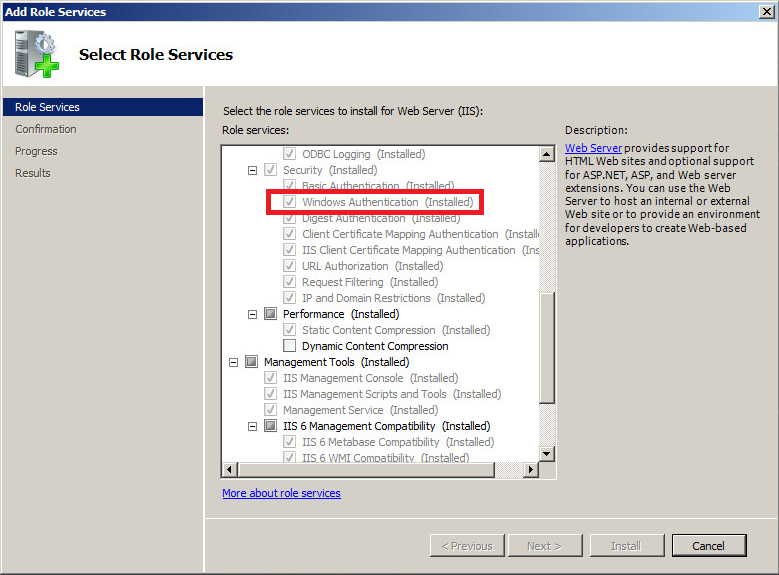 On the IIS Manager, select the ‘EasyAdmin’ web application, and click on the “Configuration Editor” icon. 4f. 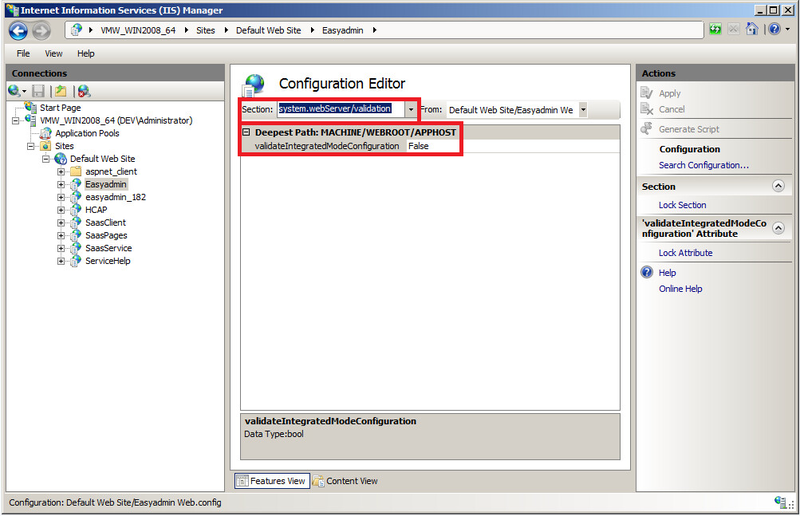 In the Configuration Editor, select the system.webserver/validation section, and set the value of validateIntegratedModeConfiguration to ‘False’. 5.1.5 Click on ‘Sites’ → ‘Advanced’. Note: Environments limited to Kerberos authentication and do not accept NTLM authentication will need to adjust the network.negotiate-auth.delegation-uris, as well. 5.2.4. 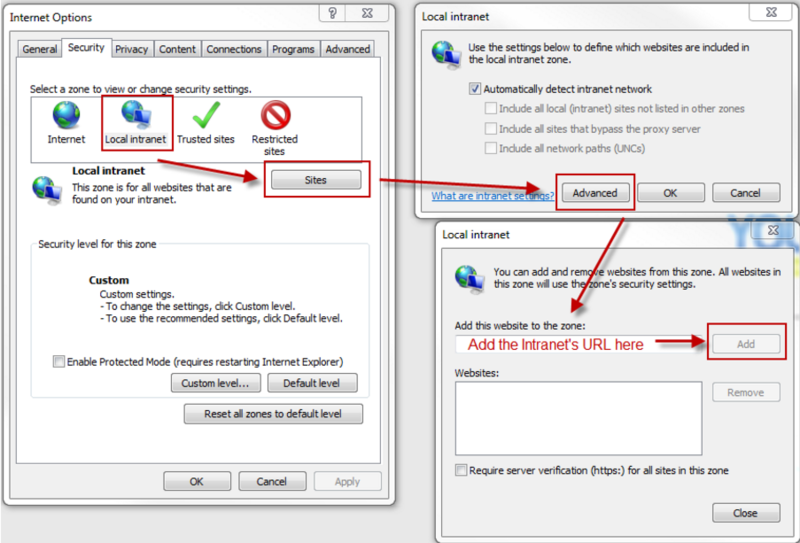 Type in the local Intranet Site (https://servername.openlm.com) and click ‘OK’. 1. 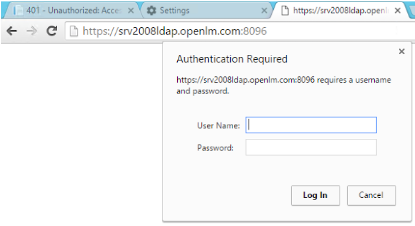 In the OpenLM Server configuration tool, on the ‘Advanced’ tab, check the “require login credentials”. Type in the requireds administrator’s credentials, and then the ‘Apply’ and “Restart now” buttons. 2. 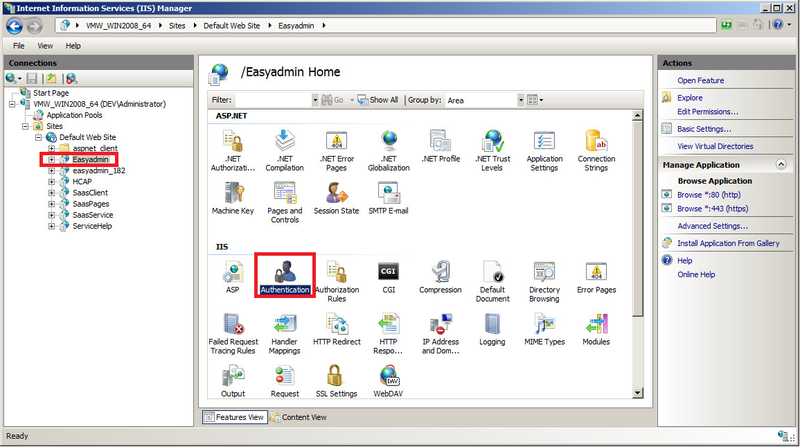 In the EasyAdmin web application, click the ‘Start’ → ‘Administration’ → ‘System’ icon. The “Administration System” window opens. 3. 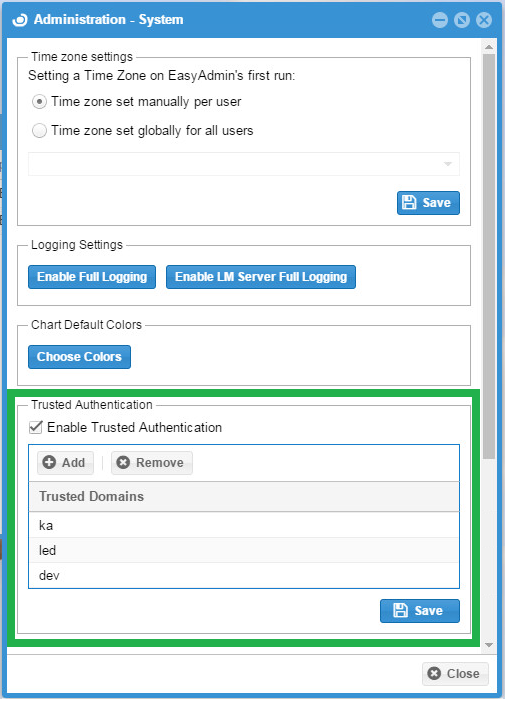 Check the “Enable Trusted Authentication” box, and add the trusted domain name(s) you have set up during the LDAP synchronization stage (above). Click the ‘Save’ button. Your EasyAdmin web application should now be able to authenticate Windows’ credentials. If you encounter any problem during this process, please address our support team, and one of our representatives will be happy to assist in this configuration.